Luther Birdzell has been on a mission to democratize data for the upstream oil and gas industry since he started his company, OAG Analytics, in 2013. For him, there's just not enough data scientists for hire to do the same thing internally for different companies. He thought of a way where he can give clients an easy-to-use platform to have access to data that could save oil and gas companies millions of dollars. So, that's exactly what he did. "Over the past five and a half years, we've built that platform," Birdzell says. "We are currently helping to optimize over $1 billion in capital deployment around drilling and completions." The company has grown to 25 employees and tripled its revenue last year. The team is forecasting another year of high grow for 2019. Birdzell spoke with InnovationMap to talk about his start in software, the company's growth, and why nonprofit work has been important to him as a business leader. InnovationMap: Did you always know you wanted to be an entrepreneur? Luther Birdzell: When I was about two years old, my grandfather ran a meat business in New York City — in the meatpacking district, back when that area actually had meat packers. It just was in my bones from a really young age that I wanted to start a business. IM: How did you get into software development? LB: I studied electrical engineering in college. For my first seven years, I worked within consulting, implementing systems that made data more valuable to subject matter experts. I was primarily supporting management teams and mostly tech teams. Then, I met the founders of iTKO, who were doing software testing for clients, and I helped them figure out a way that was complementary to what they were doing. We took a capability that can enable software developers that can help companies reduce their data center costs by a lot. It was a capability that was really restricted to specialized programing. Together we figured out how to make that a capability that anyone in an IT company used. That resulted in companies being able to higher fewer people to maintain servers, as well as reduce other costs. Companies were saving of millions of dollars per year per project. IM: When did the idea for OAG come to you? LB: Computer Associates bought iTKO from us in 2011. When I resigned from CA in 2013, it was very clear to me that artificial intelligence, big data, machine learning, and the cloud, were all tech ingredients for adding more value to data. Then the oil and gas business came into focus. When I founded OAG Analytics, our mission then — and still is today — was to build a platform for the upstream oil and gas industry that enables them to manage their data, introduces world-class machine learning in minutes without having to write a single line of code, and allow them to run simulations on the resulting analysis. IM: What makes OAG successful? LB: My vision was to create a platform that could be trusted to support billions of dollars of capital optimization through transparency and control. A black box doesn't work for the kind of problems we're helping our customers optimize. They need something that's easy to use, simple, powerful, and also gives them complete control. IM: What's the barrier of success for your clients? LB: We have customers who have increased their capital efficiency on drilling programs that are about $500 million by over 25 percent, while still getting the same amount of oil out of the ground. IM: What was the early reception like? LB: We found a lot of interest in talking about how it works. In 2013, 2014, 2015, well over half the industry knew enough about this technology from other industries to have high confidence that it would affect the oil and gas industry one day. They were willing to spend an hour or two on what it is and how it works. But the number of companies who were really willing to invest in a meaningful way was really small. There were companies, like EOG Resources, for example started spending millions of dollars developing this technology in house. Other companies seeing EOG and Anadarko success, raised the bar on the level of proof. There's an increasing number of companies in the industry who realize that AI isn't a futuristic thing anymore. There are companies using it today, and the companies using it right are making more money. But, they're learning it's hard to do right. It could take years and millions of dollars to develop this yourself, but we're helping companies get up to speed in a matter of months, and our total cost for the first year is well under a million bucks to do this. They want us to train them how to use it, then act as support, rather than run it all for them. IM: Do you plan to stay in just upstream oil and gas? LB: We're 100 percent focused on upstream oil and gas, and always have been, but as we continue to grow, we're going to follow the market and what customers want. Repurposing our platform for other applications in oil and gas, energy, and even beyond that. We're evaluating. The vision has always been to democratize AI, and oil and gas is where we started. IM: Do you have an exit strategy? LB: As far as exits, I get asked this a lot. I don't believe in exit strategies. I believe in building a great company. I've seen a lot of founders make a lot of mistakes trying to cut corners to get to early exits. Our goal is to be a great company, and that starts with the right vision and then getting the right people and hires. IM: How has Houston been as a place to have a startup in energy? LB: Houston is unparalleled in the oil patch or the ability to support day trips. There's two airports and tons of direct flights to other cities in the oil patch. It's the only city you can cover all the other cities from with day trips. The efficiency of being able to be on site with customers is such an advantage. There are a lot of industry experts in and around Houston, but a startup software company works very differently from an oil company. I think we have a long road ahead of us before we have an ecosystem in place to support startups and give them the best chance of success. Some of that comes from advisers, some from the ecosystem, and some part of it just takes time. But once those pieces come into play, talent follows. I think Houston is a very natural hub for energy tech. IM: Volunteering is an important part of your business. Why is that something you've focused on? LB: Something in the DNA of our business is giving back. We do that through direct community action. We've volunteered as a company, and we're always on the lookout for ways we can engage with and make the most contribution to the community. We do this primarily for personal reasons, but the universe has been very generous over my career with reciprocating a professional upside. You volunteer in high school to get into college, then maybe some in college. And you might think, "oh that's for philanthropists or retired people and I'll get back to that later." But the reality of that is it feels better doing some of that now, so we do. From virtual reality-enabled brain scans to Amazon selecting Houston schools for its robotics program, the future is now with this latest batch of local innovation news. OAG Analytics, which uses artificial intelligence in the oil and gas industry, has closed its second round of strategic funding in nine months from Rice Investment Group. The capital will be used to grow the company and focus on several major enhancements to their upstream AI platform, according to a news release. The exact amount of the raise was not disclosed by OAG, but according to a Form D filing, the company expressed that it was raising $8.72 million in this round. "Our industry is entering the next phase of the shale revolution by moving to full-field development. As such, we need the next generation of analytical capabilities to maximize capital efficiency," says Derek Rice, partner at Rice Investment Group and director at OAG, in a release. "Large-scale development optimization requires an in-depth understanding of hundreds of uncorrelated data points, which OAG provides through data management and advanced analytics to support profitable decision making. We are thrilled to partner with OAG's team, and believe our insights and experience as an operator will continue to add value to the platform." 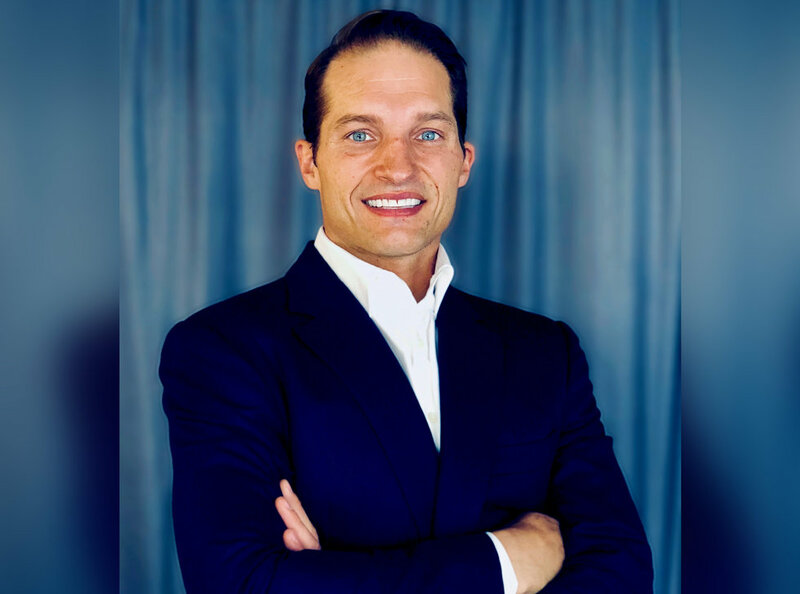 OAG's founder and CEO, Luther Birdzell, created a way where he can give clients an easy-to-use platform to have access to data that could save oil and gas companies millions of dollars. In fact, according to the release, OAG clients have optimized over $10 billion in capital expenditures. "RIG's trust in the OAG team and AI platform is a huge vote of confidence," says Birdzell in the release. "As a leadership team that already built and sold a highly data-driven, technology-centric oil and gas company, RIG's market insights and capital are important to our business. We look forward to continued collaboration as we accelerate our growth." Houston Methodist Hospital is channeling a Magic School Bus episode with new VR technology that allows neurosurgical patients and their family members to essentially walk through their brains ahead of their surgeries. The patient wears a virtual reality headset and gets a 360 degree view of their brain, and the neurosurgeon can walk the patient through the surgery process. 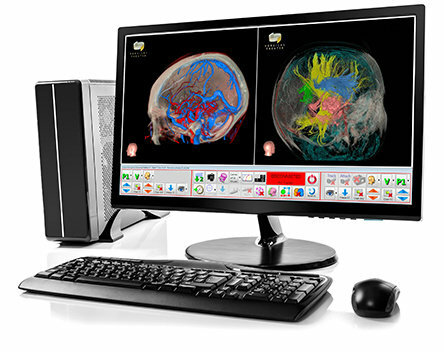 According to a release from Houston Methodist, the technology is the first of its kind that combines fighter jet flight simulation with patients' anatomy scans from MRI, CT, and/or DTI processes to make a 3D model. The Amazon Future Engineer program launched in November, and, according to a news release, is a four-part childhood-to-career program geared at teaching technology and computer science to children from underrepresented and underserved communities. 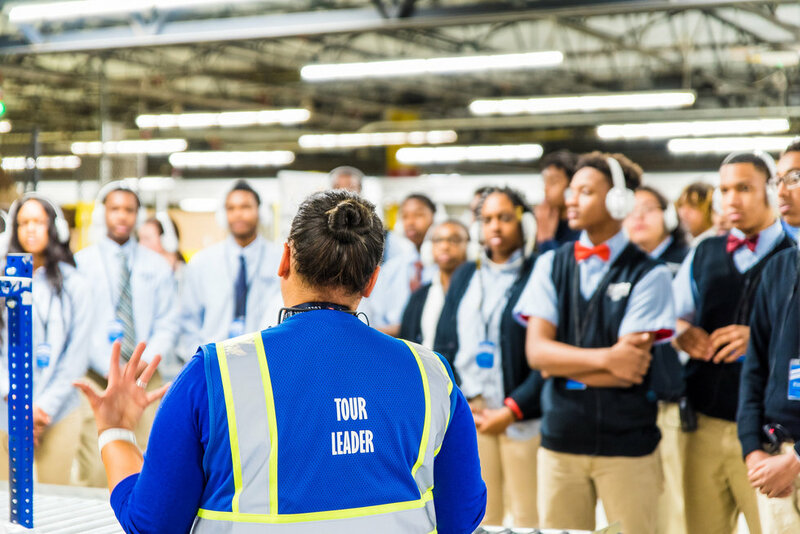 Through the program, Amazon hopes to help more than 10 million students nationwide. Mattress Firm seeks second round of "snoozeterns"
Last summer, Mattress Firm introduced its Snoozetern program, advertising as a "dream job" for college students wanting to get "paid to sleep." The program is looking for it's next employee that will learn the ins and outs of the Houston company and test and review products. Applications are open now until May 3. To apply or learn more, visit here. 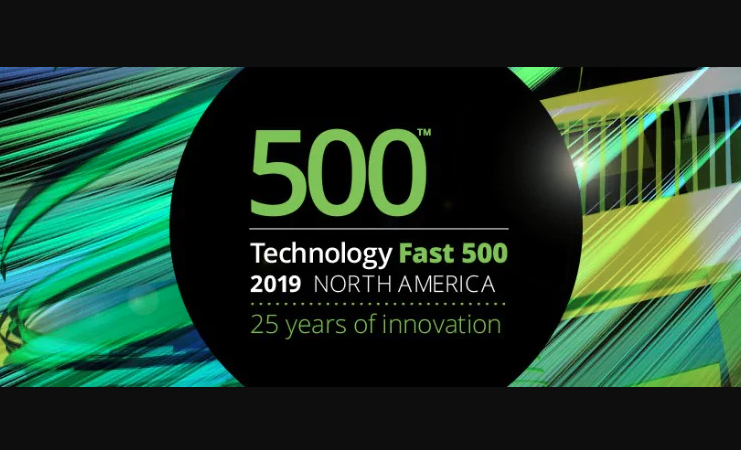 Deloitte has opened its 2019 Technology Fast 500 Awards applications. The national awards program has been honoring fast-growing tech companies for 25 years. Last year, two Houston companies were ranked: Onit and symplr. The honorees are chosen based on the past three years' of fiscal-year revenue growth over a three-year period. Applications close on June 28. Click here for more. The Kidney Cancer Association's board of directors approved $1.3 million to be dedicated to advancing early detection and new treatments for kidney cancer. Grant applications opened April 17 and close May 20. Grant recipients will be announced in the fall. "The KCA Board of Directors is committed to providing research funding with the goal of identifying new treatments and finding new ways to prevent and manage the disease," says Christopher Wood, board president, in a news release. 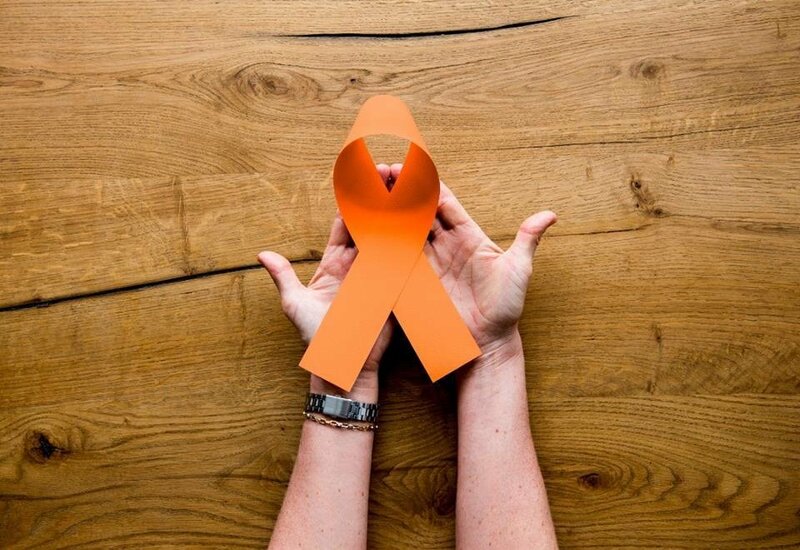 "With these advancements in research and a greater understanding of these cancers, we believe the outcomes of these grants will have substantive impact for kidney cancer patients." There will be six grants are divided into two types of awards. The Advanced Discovery Awards will honor two "established investigators" $500,000 grants, and the Young Investigator Awards will give out four $75,000 grants. The Barbara Bush Houston Literacy Foundation, a Houston-based nonprofit, is hosting its 25th annual A Celebration of Reading event on Thursday, May 2, at The Hobby Center for the Performing Arts. 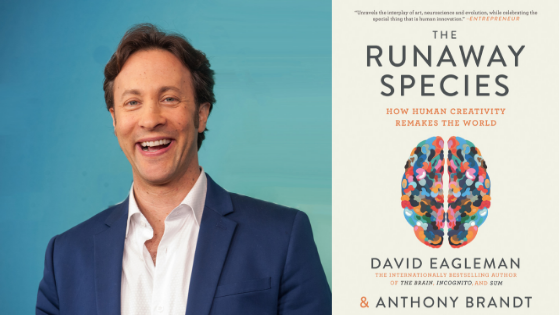 The event hosts five authors, and this year, Houston neuroscientist David Eagleman is on the lineup. Eagleman's most recent book, The Runaway Species: How Human Creativity Remakes the World, will be the topic of discussion during his presentation. Eagleman and his co-author, Anthony Brandt, seek to determine the human mind's ability and drive to create.